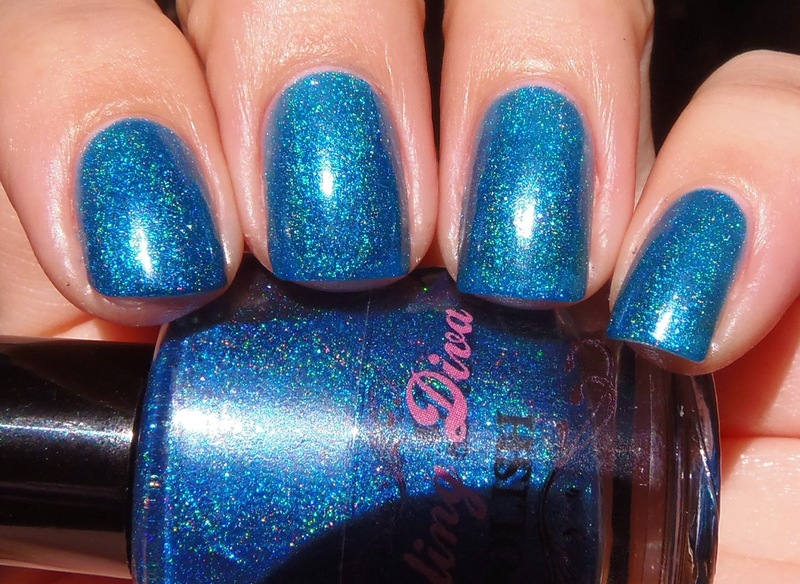 These are newish holographics from Darling Diva. Definitely check out her website, because she now has more, and they are all gorgeous and super holographic. Purple rain had a scattered effect. It is a grape purple with a really nice formula, which didn't drag like the Laylas do, even without basecoat. 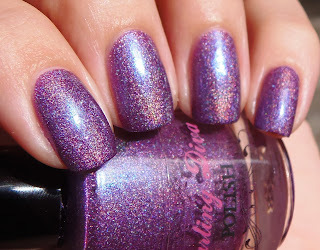 This is one of those holos that dries very fast and you can polish on the go. Although when I took the pictures, it wasn't really sunny outside, you can still see the nice holographic effect. Therefore, it doesn't require full sun. Royale does require sunlight, however. It was a jellyesque cyan holographic that required 3 coats for full opacity. This one is a bit faint, even in the sun, but the color and shimmer make up for it. WOW and DON'T fxck it up!!! looks amazing! Thanks for letting me know!